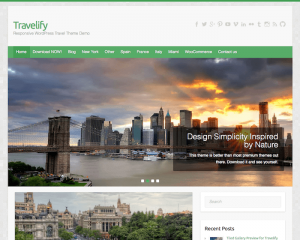 The travel category allows you to browse a selection of WordPress themes that can be used to build a travel-related website or blog. 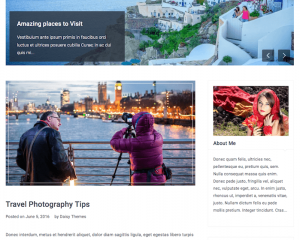 If you are a traveler, and you want to share your traveling experiences with your audience, then you should use a travel WordPress theme instead of any other themes. This is because travel WordPress themes are optimized specifically for travel-related website, with the layout that is made to be most comfortable for this type of website. The layout is usually designed to show the images from your travel in the most interesting way. Aside from being used by individuals that love to share their traveling experiences, this theme can also be used for travel agencies and other travel-related businesses.